My introduction to step-wells came from the in-flight magazine of Jet Airways flight 9W117. Being an amateur archaeologist and fascinated by all things historical, these structures intrigued me and I knew at some point I would have to make plans to see them. Rajasthan and Gujarat seemed to have the best examples, so my travel plans to Gujarat last year allowed me finally get up close to a few examples. 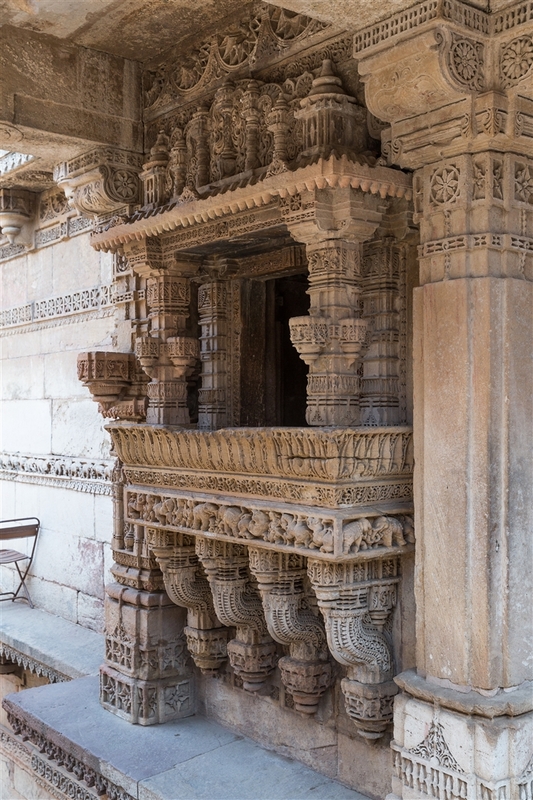 Adalaj was clearly once a very quiet village, but the growing expanse of Ahmedabad means that now it’s been swallowed up by the city and as a result this place is a very popular place to visit by both tourists and the locals. If you’re looking for a peaceful and tranquil visit, best get there very early in the morning. There are also many attendants, so if you were hoping to use a tripod for your photography, you’re going to be disappointed. 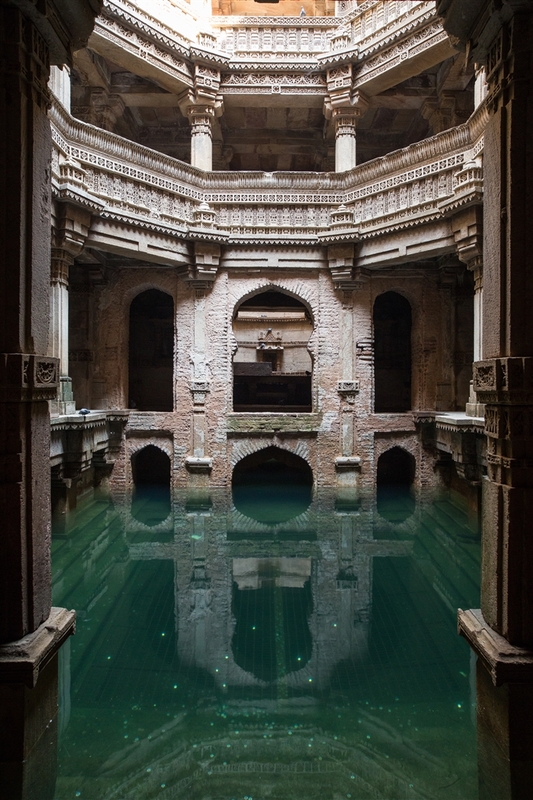 The Adalaj step-well served as a resting place for hundreds of years for many pilgrims and caravans along their trade routes. 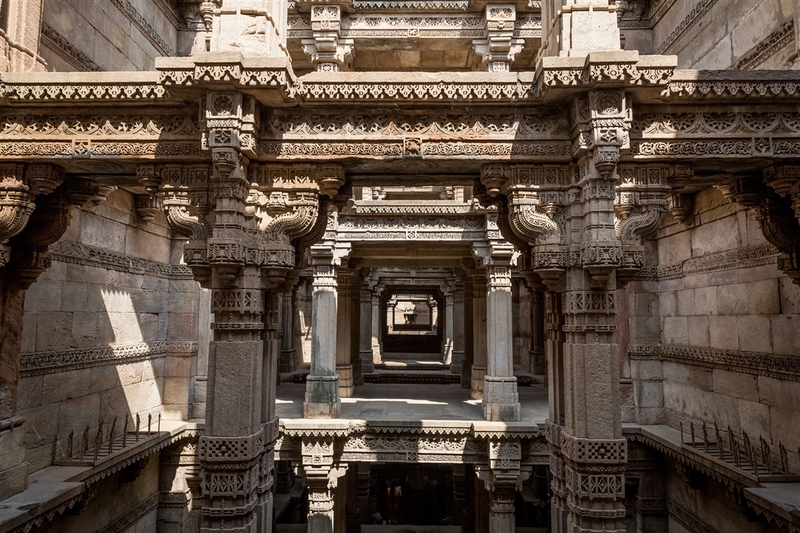 Built in 1499 by Queen Rudabai, wife of the Vaghela chief, Veersinh, this five-storey stepwell was not just a cultural and utilitarian space, but also a spiritual refuge. 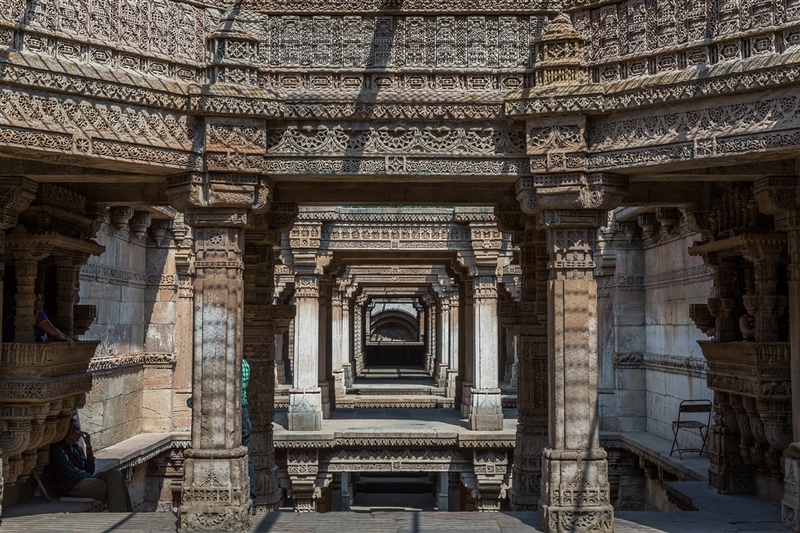 The vav is a spectacular example of Indo-Islamic architecture and design. 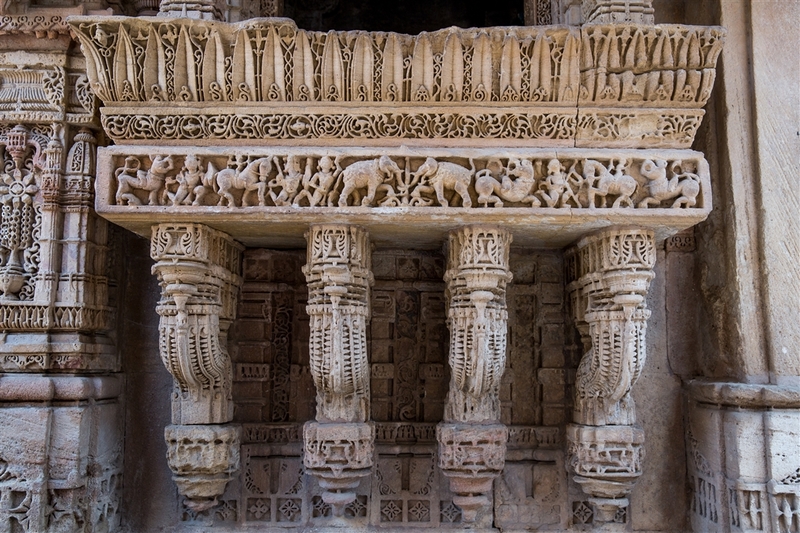 All the walls carved with mythological scenes along with everyday scenes of women churning buttermilk, dancers accompanied by musicians, women adorning themselves and a king sitting on a stool. 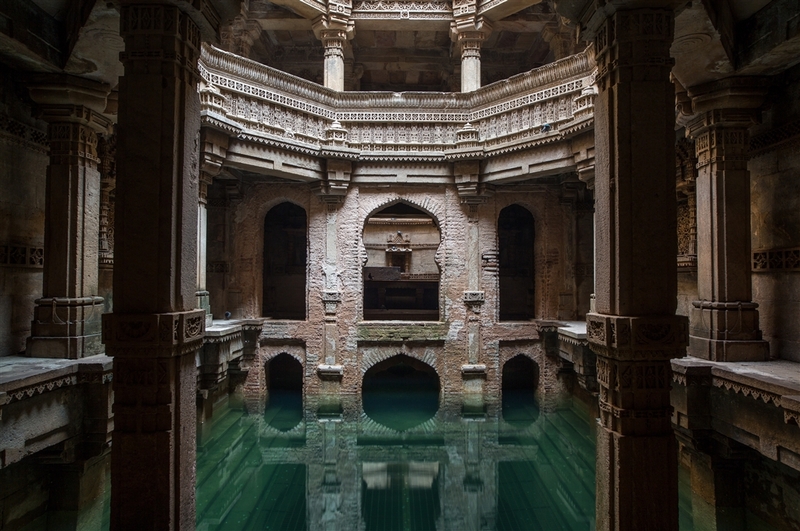 Adalaj step-well is open sunrise to sunset.